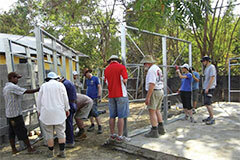 East Timor is a small country in South East Asia, located 400 km north of Australia. In 2002, East Timor became the world’s newest nation, when it achieved independence after several centuries as a Portuguese colony, 24 years of Indonesian rule and a brief period under United Nations administration. The East Timorese finally gained their freedom, but many paid with their lives. It’s estimated that one third of the population died as a result of the 24 year Indonesian occupation. In 1999, the violence that immediately followed the vote for independence, left over three quarters of the population displaced and the majority of the country’s infrastructure destroyed. What’s left is a young country trying to recover from its violent and traumatic history. East Timor is one of the world’s poorest nations, ranking 158th out of 179 countries according to the United Nations. With a population of just over a million people, two thirds are under the age of 25 years and an estimated 49.9 percent live on less than US$1 a day. The people have all suffered, but none more so than the children. During the violence, many children witnessed family members killed and mutilated and their homes burnt to the ground. Many children were left orphaned and vulnerable. There is a great need for providing Hope and a Future for all children. The Timor Leste Children’s Fund is an umbrella partnership of a number of registered Timorese NGO’s and Ministries and their International Partners. Our vision is to serve into raising a generation of young Timorese people with the capacity and compassion to holistically transform their nation. Micah 6:8 challenges us all to care about justice, love, kindness and to walk humbly with God as important expressions of our faith. We need to stand with the poor and powerless to work for a fairer world. If we act together, we can create a more just and compassionate world that reflects the values of God’s Kingdom. 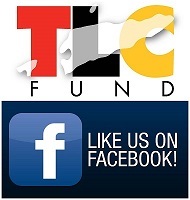 If you'd like to keep up-to-date with all the happenings with TLC fund click the image below and "LIKE" our Facebook page. 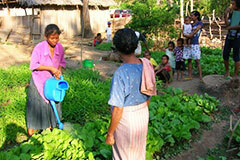 Hear about all the exciting and life impacting things that our Project Partners are implementing in Timor Leste.